Are Law Students More Distracted Than Ever? It’s the Internet Age. That means we can look at the weather forecast, check email, read the news, update our friends, and listen to music in a few short minutes with just the touch of a button! 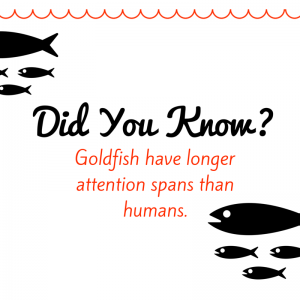 Not so favorable, however, is that our attention spans have also shortened significantly. According to a recent study, Americans’ average attention span in 2013 was eight seconds, down from an average of 12 seconds in 2000. 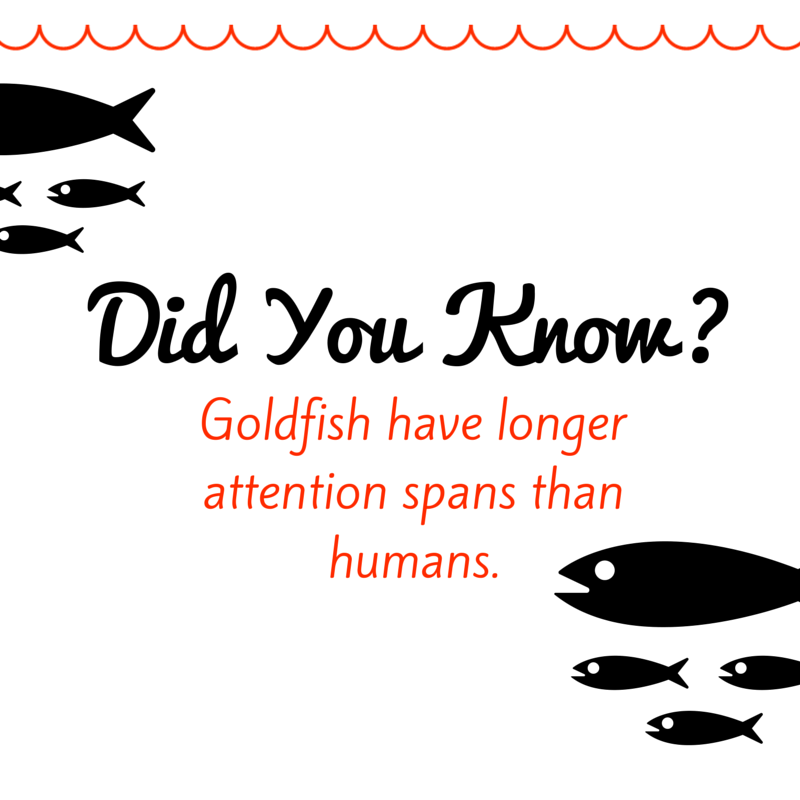 In comparison, the average attention span of a goldfish was recorded at nine seconds. 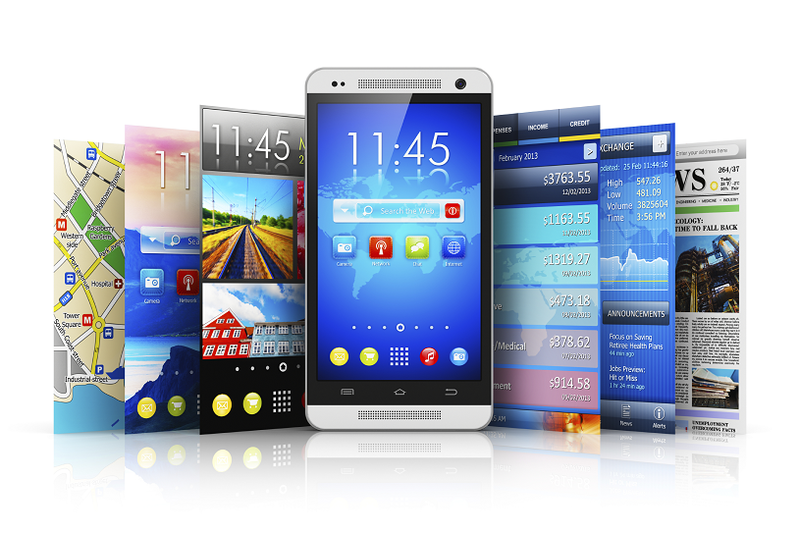 With cell phones, tablets, smart watches, and other technology so increasingly accessible to us, it’s easy to see how distractions are more prevalent than ever. Driving is an area that sees thousands of negative repercussions to distractions each year. However, while there is a mountain of statistical evidence demonstrating how distractions impact driving, less evidence exists linking distractions with studying. If Internet users are becoming distracted and only reading a fraction of individual sites, would it be reasonable to assume that law students are also having trouble concentrating on reading practice questions and explanations? After all, some of the licensed NCBE questions are a few paragraphs long or more and certainly take longer than eight seconds to read and answer. While these statistics are interesting, they do not relate specifically to studying for the bar exam or MBE. So, we decided to take matters into our own hands. In AdaptiBar’s February 2015 survey, we asked users questions relating to their study habits, specifically how distracted they are while studying. All questions were answered on a scale of 1 to 10, one indicating ‘never’ and 10 meaning ‘frequently’. Somewhat surprisingly, the majority of survey respondents did not admit to being distracted during their studies. Put your phone away. 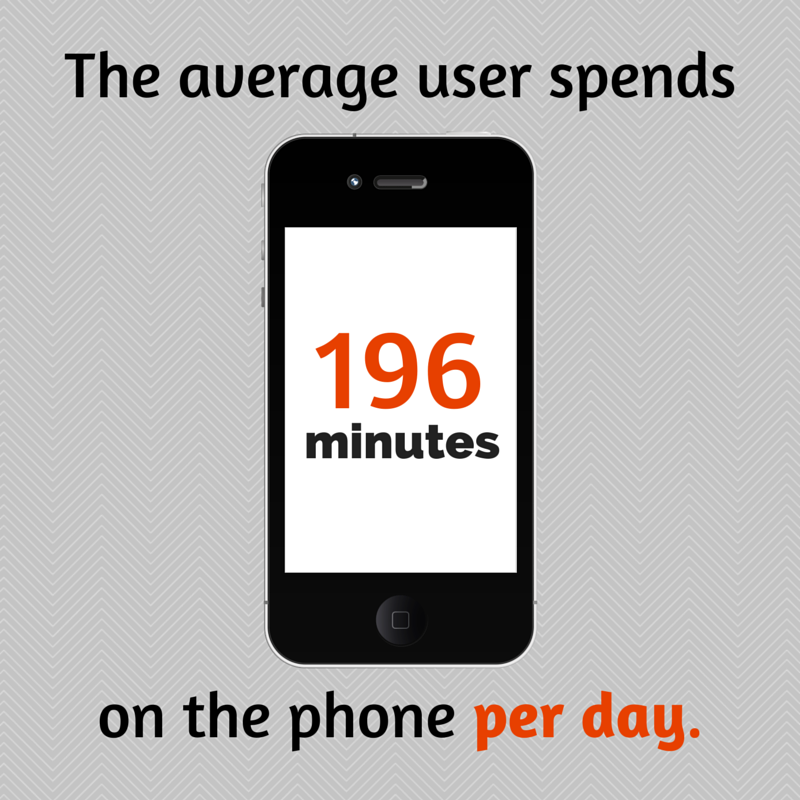 Studies indicate that the average user is on the phone for 3 hours and 16 minutes per day. To avoid this temptation, put your phone on silent and hide it deep in your purse, bag, or backpack. Or, if you’re studying at home or a friend’s house, leave your phone in another room or location where you will have to physically get up to check it. Go Invisible. Literally. Whether it’s on Facebook messenger, iChat, or GChat, there are “invisibility” functions that can hide you from other users. Utilize this option to prevent your undergrad friend from sending you a selfie or that funny BuzzFeed article. Set an auto-response email. If you find yourself constantly checking your inbox or feeling obligated to reply to incoming messages, set an auto-reply that lets people know that you are busy studying for the bar exam and may not be able to respond right away. The person e-mailing you will understand not to expect an immediate response, and you will not feel the necessity to write back that instant. 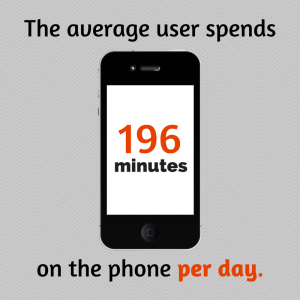 Do you agree with these statistics? Do you find yourself easily distracted while studying for the bar exam? We want to hear from you! Tweet to us @adaptibar or reply down below in the comment section with your own thoughts and tips.